Ah, that new carpet feeling. A bright, fresh carpet can transform your room. And it feels lovely underfoot. But with daily wear and tear, particularly if you have children or pets, that feeling can be a long-distant memory. Not to mention all the little nasties that might take up residency. 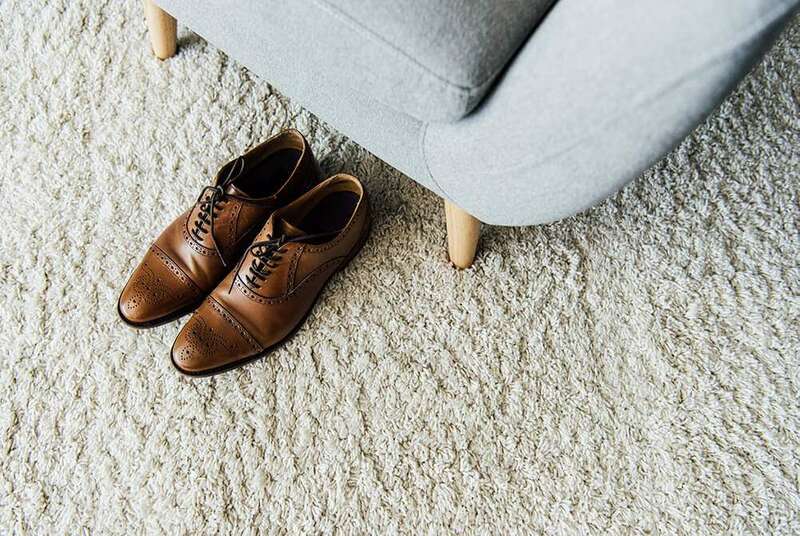 Our professional dry carpet cleaning service will rejuvenate your carpet, improving the look and feel of it. It will also banish any germs and bacteria that may be lurking, which vacuuming alone can’t tackle. Unlike some carpet cleaners, our method ensures carpets dry rapidly – normally in under 60 minutes. That makes it perfect for busy households and businesses alike. It also avoids the problem of damp carpets encouraging the growth of bacteria and germs. Our cleaning solutions are kind to people, pets and the planet. We don’t use soap, we use science! Our Resolve multi-purpose cleaning solutions is produced locally just for us. In addition to the bonus of rapid drying carpets, our cleaning solution includes deodoriser and anti-bac as standard, so you get more for your money. Our carpet cleaning is charged from £4 per square metre (minimum charge is £90). Our customers agree that it’s worth every penny! Is safe for people and pets. Our revolutionary system uses advanced technology to break down and release dirt and soil that is stuck to fibres. The released dirt is then easily removed by microfibre absorption-extraction leaving surfaces so clean they resist the build-up of fresh dirt, giving long-lasting results. Clever! We have developed our methods to minimise the volume of water we use. We don’t use chemicals that have been researched and tested on animals. We return all our containers to be reused, meaning zero waste to landfill. 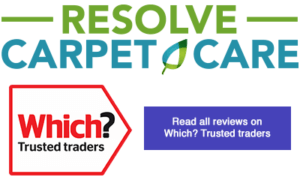 Carpet now looks like new excellent service – couldn’t have been more helpful. Will certainly use firm again, & will recommend them to friends.